With our "on the go" lives, you may find that microwave safe dinnerware is a necessity. Most modern dinnerware is made to be microwave safe if it doesn't have platinum, silver or gold in the pattern, but some dishes that appear to be safe for microwaving are not. 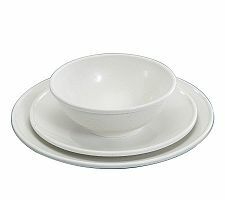 Melamine dinnerware is NOT microwave safe. It looks like heavy plastic and somewhat simulates the dishes that were specifically made for the microwave back when microwaves were trendy. Melamine and Melmac sets are actually made using a scientific method of bonding together melamine and formaldehyde. 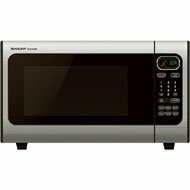 The material absorbs the radiation put out by the microwave and can get extremely hot. Microwave safe material doesn't get hot. It may be warm from the food inside, but the dish itself can be easily handled with a bare hand. Some glass dinnerware is microwave safe and some is not. Many sets are marked on the back of a plate to reveal whether it is dishwasher proof and/or microwave safe. Most ceramic and pottery dinnerware is safe to use in the microwave; however, you may find some warnings about microwave use when certain paints or glazes are used in the production. Some fine china is claimed to be microwave safe if it doesn't have metallic patterns, but I would never put my fine china in the microwave or the dishwasher. For me, it is best to have certain dishes for the family to use that is known to be microwave safe. That will avoid the "sparks" and spills of food that has been heated in a dish that is not microwave safe.